I’ve reached a point in my life where I find it’s no longer necessary to try to impress anyone. If they like me the way I am, that’s good. If they don’t, it’s their loss. 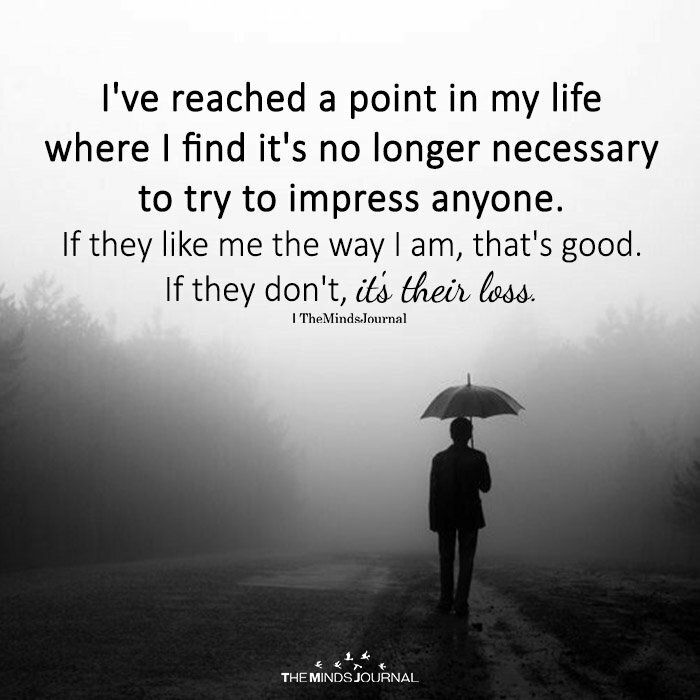 I STRONGLY BELIEVE we DON’T need to impress anyone. then just accept it. We can’t force anybody to like & accept us.